Blenheim Farm is an 11 acre estate situated within the Chilterns AONB, near Ewelme. 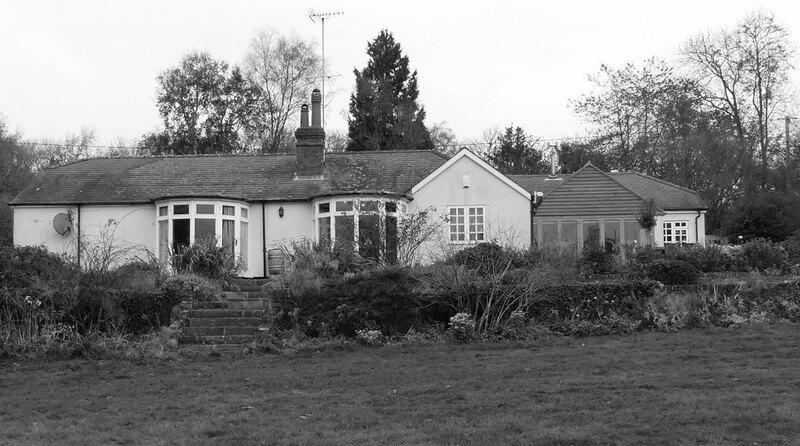 The estate consists of a bungalow (the main residence on the site), several outbuildings and a recently converted barn. The existing bungalow has been much altered but it is dark internally and of poor quality construction. It has little architectural merit and does not positively contribute to the setting or the AONB. Our clients approached us because they recognise the way in which our home environment can affect our day to day lives. They also appreciate the value of high quality design in creating a home which is to cater for a busy family and social life. 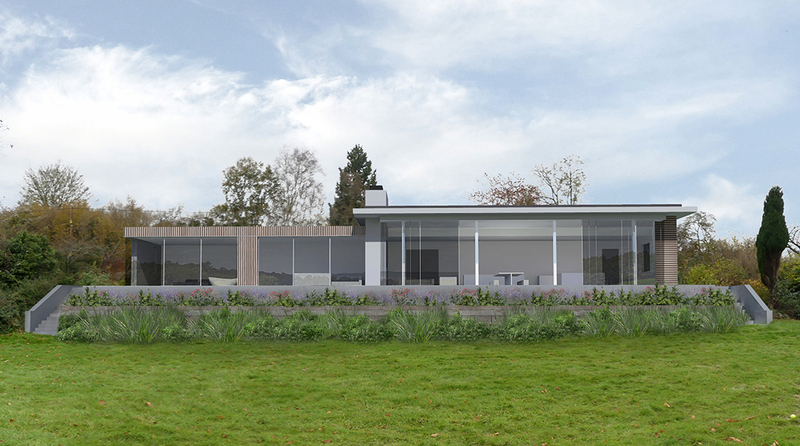 The replacement dwelling they would like to build has been designed as a simple rectilinear form, consisting of clean lines, crisp glazing and contemporary, machined timber cladding. A slight change in height between the two main elements (the feature kitchen/living/dining room and the rest of the house) adds interest both internally and externally, and high quality detailing will result in a home of exceptional quality in terms of both aesthetics and performance. Where it is not glazed the building will be clad in square profile timber cladding. Timber has been chosen to relate the house closely to its context as existing outbuildings are clad in timber (albeit traditional in style) and the site includes an area of woodland. 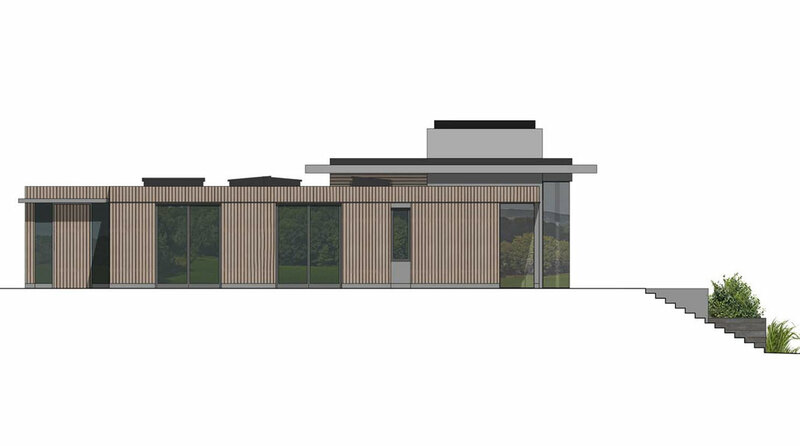 The cladding chosen is a contemporary take on more traditional rural buildings in this area - over time it will be left to silver back and will soften visually against the backdrop of vegetation that surrounds it. The existing stepped terrace to the south of the dwelling will be rebuilt with timber sleepers and extensively replanted to create a vegetative barrier between the new terrace and lawns below. The building will be constructed to produce a highly efficient home – it will be well insulated with a ‘fabric first’ approach to sustainability including high performance windows. The site is off-grid and an air-source heat pump will give a marked improvement in heating efficiency when compared to oil and LPG.